You searched for which does not fit your . We've redirected you to 100-3506, which has the proper fitment. 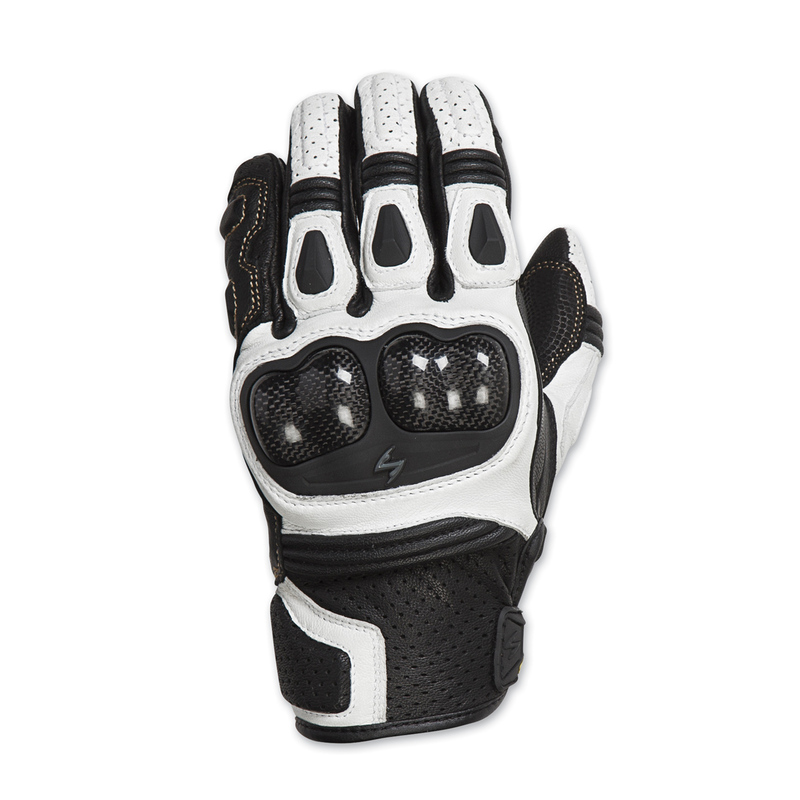 Get awesome dexterity plus serious protection with SGS MKII short cuff leather sport bike gloves. Made with premium goat leather for supple feel plus added resistance against abrasion. Hard knuckles are reinforced with carbon fiber to guard the back of the hand, while KNOX XPS palm sliders allow hands to slide across pavement to avoid road rash. TPU armor on fingers as well as extra leather overlays and padding along the fingers, palm, and pinky offer heightened impact protection. KwikTouch areas on the index finger allows rider to operate touchscreen devices with the gloves still on. • TPU knuckle protectors are reinforced with carbon fiber for extra impact security.